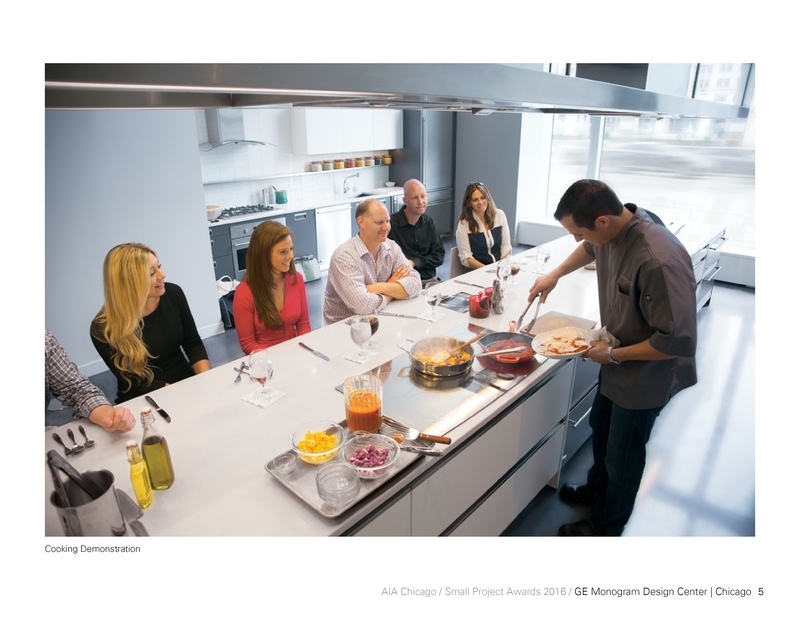 This 3,500 square foot showroom in Chicago’s Merchandise Mart showcases GE’s line of Monogram appliances in a space that skillfully blurs the line between residential and commercial design. The concept was to create a lifestyle environment that feels and functions like a home, while also showcasing an ever-changing line-up of new appliance designs and technologies. 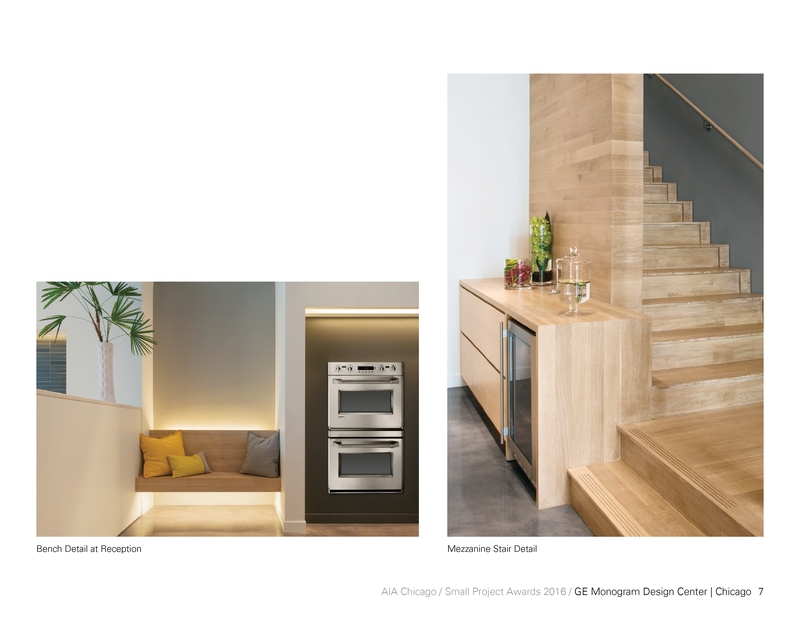 The typical static display showroom is turned on its head by placing visitors into a residential space where they interact directly with the appliances: guests may cook together in one of 3 live kitchens, eat together in the dining area, and mingle in the fully-functional bar and living room space – social experiences that reinforce the lifestyle component of the Monogram brand and introduce users directly to its high level of craft and engineering. 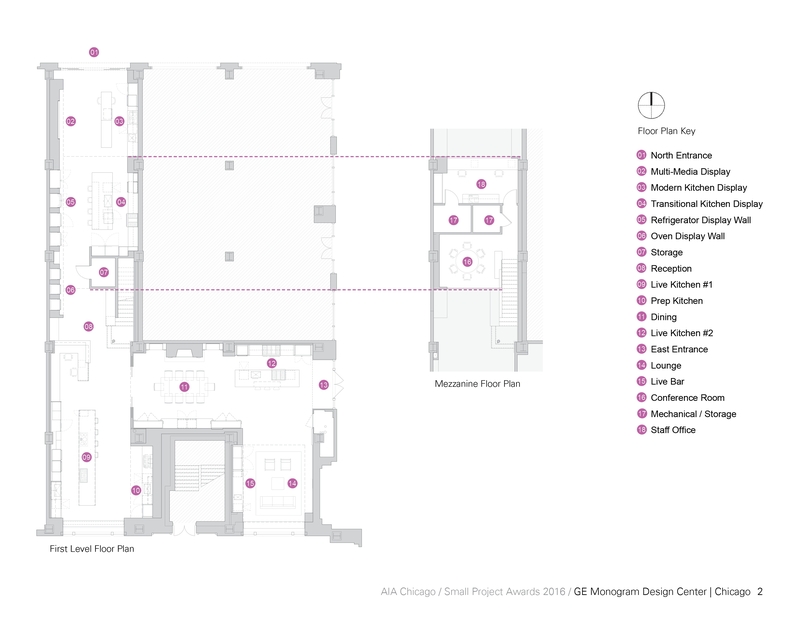 Program elements are carefully distributed throughout the H-shaped space. The design and detailing of all spaces and components focuses on craft and quality to match the caliber of the Monogram brand. A restrained and unified material palette deploys throughout the 5 distinct kitchens; stone, wood and concrete appear and reappear throughout the different spaces in varying ways, subtly tying the parts into one larger whole. 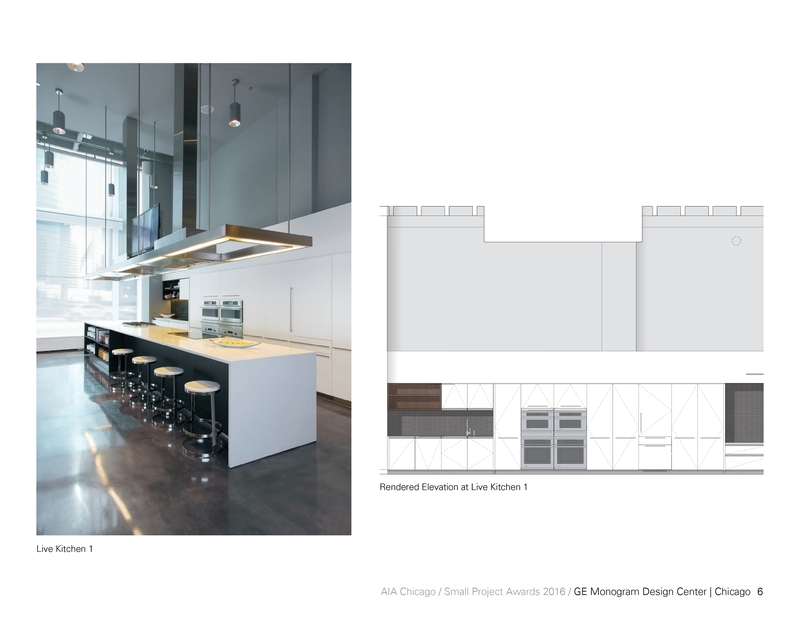 A mezzanine space that houses the administrative functions of the program lofts above the showroom space, taking advantage of the 20’-0” ceiling heights; the space below is, thus, maximized for display and appliance demo. 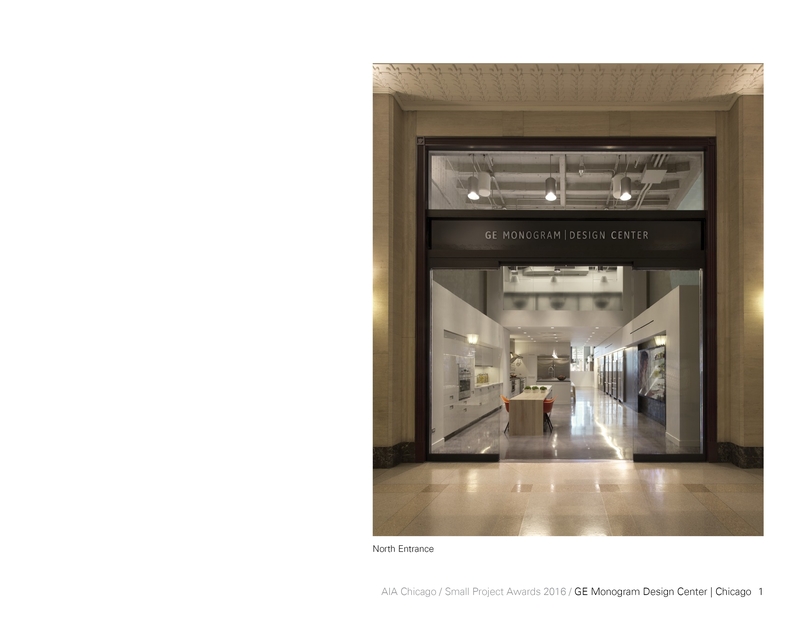 The project utilizes numerous smart design and construction strategies including lighting controls, daylighting and low-emitting materials to achieve a Certified rating under the LEED for Commercial Interiors program. The total project cost was $2.2 million.